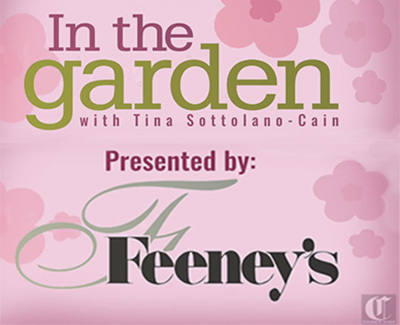 ‘In The Garden’ with Tina Sottolano – Cain is a series of gardening videos which is presented by Feeney’s. Check back often as we will be adding to this collection. Caring for your Ficus Plants – In this episode of ‘In the Garden’, horticulturalist Tina Sottolano Cain talks about the care of the popular Ficus plant. Caring for the Birds in the Winter – It’s winter and it’s time to take care of our feathered friends. New Tools for the Older Gardener – You don’t have to be 21 anymore to do battle in the garden. Tina reviews some interesting tools for the older gardener. Garden Art and Sculpture – There are so many details that you can add to your garden to make it look like you’re a pro. Tina shows us how to accessorize the garden. Mosquitoes, Ticks and Bees – Tina and Carol talk about some products to keep the bugs away. June is National Rose Month – It’s National Rose Month and Tina shares some tips on how to keep your garden and roses happy. Caring for Annuals & Hanging Baskets – We’re in the dog days of summer and your plants are drying out. Tina shows us how to keep those annuals and hanging plants looking fresh. Holiday Garden Gift Ideas – In this episode of In the Garden, horticulturalist Tina Sottolano Cain talks about holiday gifts for that gardener on your list. Caring for your poinsettias – It’s poinsettia season and they come in a lot of different varieties. They’re not just red anymore. Tina tells us the best way to take care of this festive plant. Make your own holiday wreath – Christmas is approaching and Tina demonstrates a step-by-step method of creating your own festive holiday wreath. Making your own holiday planter – Tina show you how to put together a beautiful holiday planter.